As network capacity and online technology advances, so do user expectations. As such, it’s becoming increasingly important to focus on your website speed and load time. According to Tony Haile of Chartbeat‘s data, the average person spends only 15 seconds on your website. 15 seconds…that’s insane if you think about it. That’s not a lot of time to draw someone in, and you do not want to waste any of that time to your website loading slowly. Your website’s loading time does not only affect your user experience and bounce rates, but it also plays a role in your search engine rankings. Google is also putting more emphasis on page load time, and may even rank other websites higher in search results just because their page loads quicker than yours does. 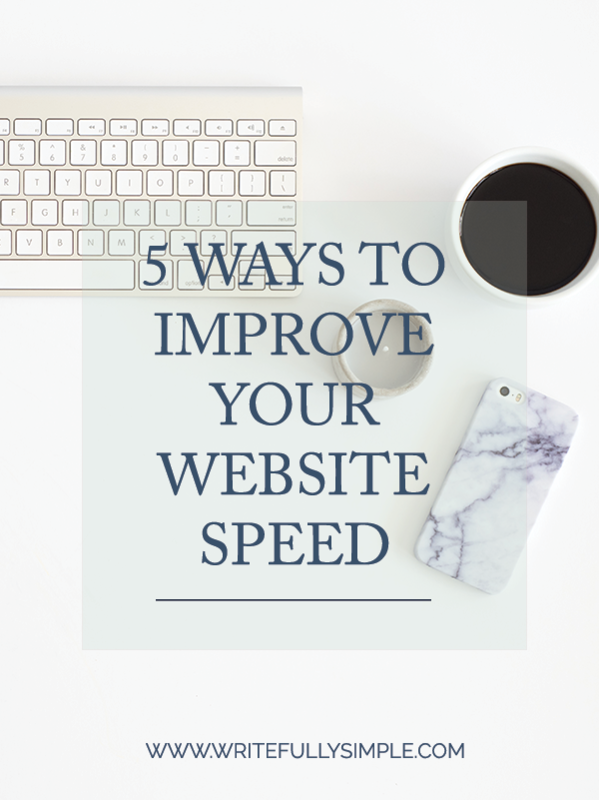 So what can you do in order to improve your website’s speed? Hosting. Like everything else, you get what you pay for. Most of the basic packages with the different hosting companies have several hundreds of websites on one single server. This will result in your pages to load slower. By placing your website on a dedicated hosting company, such as Digital Ocean, so that your website will be the only website on a particular server is incredibly beneficial, especially if you have a lot of content and have a lot of traffic on your website. Optimize & Resize Your Images. Many people do not even think about double-checking the size of the images that they upload to their website. Having huge images on your website is usually the biggest reason that your website is loading slower than it should. A great way to fix this is to save your images with the “Save for Web” option when you are creating images. You can also run your image through an image optimizer app, such as WP Smush will reduce and compress the file size, while maintaining their quality. Using a Cache Plugin. When someone visits your website, they need to request a lot of information from your web host. Some of the things they need to send a request for are images, CSS, Javascipt, and all of your content. All of this contributes to your total page loading time. By using caching plugins such as W3 Total Cache or WP Super Cache, it will create a picture of your website every so often, and deliver it to your visitors instead of having to download each page whenever they visit your website. Be Selective with Your Plugins. Plugins are designed to add features or functionality to your website. You will hear a lot of people say that the more plugins you have, the slower your site will be. This is not entirely true. It’s not so much the number of plugins that you have, but the quality of the plugins. Sometimes a single plugin can make all the difference in your website’s load time because it loads too many scripts, or hits the database with a ton of requests. If you think a plugin may be the culprit, there’s a very simple way to test this out. All you need to do is going into your website’s dashboard and deactivate all of your plugins and then load your site. If the site loads faster, you will know that the issue is with one more plugins. Now begin activating the plugins again, one at a time and be sure to load the homepage every time to narrow down which plugin is causing your site to slow down. Another thing to keep in mind is to make sure that your plugins and theme are up-to-date with the newest version. Using a Content Delivery Network (CDN). CDN does not replace a web hosting account; it is something that you use on top of your hosting. CDN’s are effective at speeding things up if your website receives regular high traffic, has a large volume of content, images, and videos, and if it has a global reach. They allow you to distribute your files and loads across multiple systems based on the geographic location of the user, the origin of the web page, and the CDN itself. If you are not sure where to start in this whole process I would first recommend optimizing and resizing the images that are currently on your website. If an image is a thumbnail than there is no reason why your image needs to be that large. For a full-width image, you do not need the width of your image to be any larger than 1920 px. It’ll be big enough for most screens, while still loading relatively fast. After that add a cache plugin and then start looking at individual plugins if your site is still loading slower than it should be. Finally look into your hosting company and your current plan. Placing your website on a dedicated server is completely affordable, and well worth the benefits. I use Digital Ocean and my site is on a dedicated server, for $5 per month. By using some of these options it will definitely help to improve your website load time. If you are not comfortable with making any, or some, of these changes then, by all means, please hire someone to do it for you. I’d love to hear how these worked for you, and if you noticed a difference in the load time on your own website. This is really useful for those who aren’t very technical but have a website! I know websites with slow speed are always a downer, if it doesn’t load quickly I usually move on! So many people do Kelsey! And thank you – that is exactly who I was targeting this post towards, as most of my other blog posts! Enjoy your day! When I originally started blogging, I put zero thought into my image sizes. I never considered Saving for Web! Thanks for the great tips. Great tips! I know I need to resize some of my images..but how do you do that without them becoming grainy? Things I never even thought about! Really great article for a behind the scenes type post.